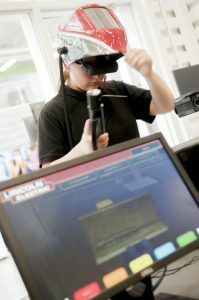 RUSSELLVILLE – Logan County educators hope a new Career and Technical Center that debuted Tuesday will allow area high school students to pursue industry credentials using cutting-edge equipment. 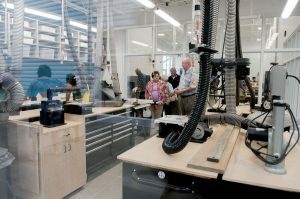 “They get to use the exact same equipment that they use on the daily job,” said Jeramy Rust, who teaches construction carpentry at the new facility. 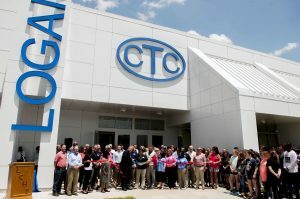 After breaking ground in September 2016, the new Career and Technical Center is officially open and offering certifications in all 10 of its programs. 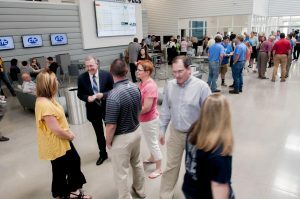 Logan County Schools Superintendent Paul Mullins introduced the facility to the public during a ribbon-cutting Tuesday. 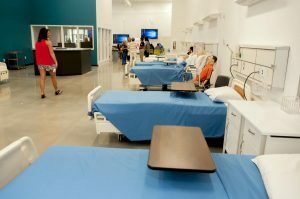 The facility, which cost about $19.8 million, was funded in part through a tax increase and is open to students in the Logan and Todd County school districts and Russellville Independent Schools. 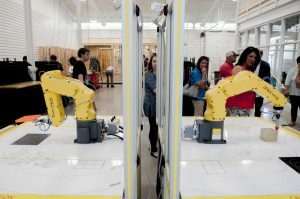 It more than doubles the size of the previous area technology center based at Russellville High School, totaling more than 67,000 square feet. Russellville Independent Schools Superintendent Bart Flener said the old facility will be converted into the district’s new Russellville 21st Century Center. 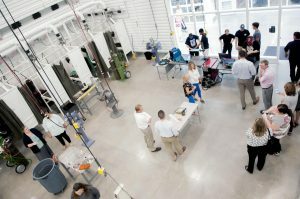 Students who study at the center can study machine tool construction, welding, health care, automotive service and drafting, among others. Frogue said the center just added construction carpentry this year and is looking at adding a phlebotomy program next year. 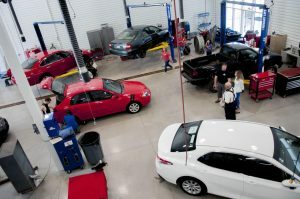 The career pathways allow students to go straight into the workforce after graduating, she said, adding that many of her students are already working in their chosen careers. Among them is senior Dustin Pierce, who splits his time between school and firefighting. He recently completed his EMT certification and is working toward a degree in fire science through community college. “There’s a lot of opportunity here,” he said. Adam Williams, a senior studying computer assisted drafting, said he enjoys the hands-on nature of his classes at the center. 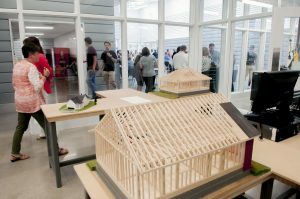 “I like how I’m able to put my own creativity into any drawing,” he said while standing in a new, expansive classroom. Bradley Spivey, a junior studying construction and electrical engineering, agreed. He said the teachers genuinely want students to learn. The facility, which offers brand-new welding equipment, is also a plus for Spivey. Lee Wells, a welding instructor, also appreciates the new equipment. He said he’s glad to be a part of the new center.